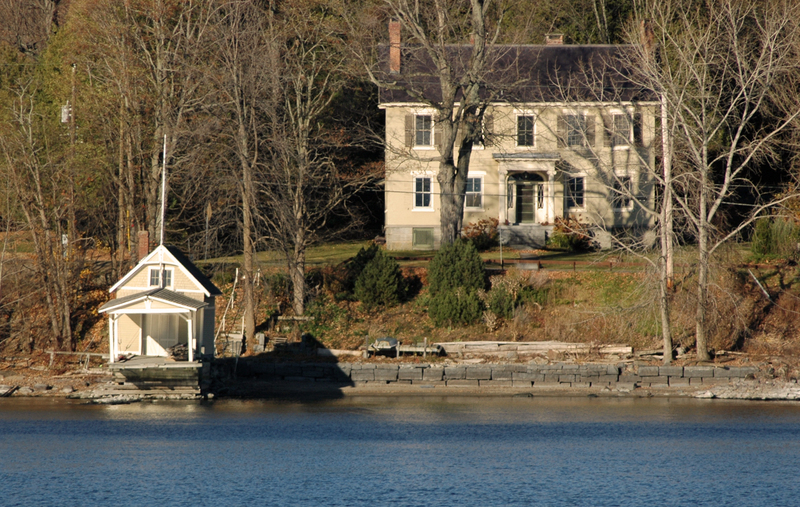 Susan and I were driving back to Rock Harbor after visiting Rosslyn, an early 19th century home in Essex, New York, which our realtor had just shown us for the second time in several months. It was spring. At least a dozen sailboats speckled Whallons Bay as we wound south along the edge of Lake Champlain. Small white caps, light wind, bluebird skies above. Two fishing boats trawled between the beach and Split Rock where a glimpse of Vermont was visible within the cleft. We veered away from the lake and up Couchey Hill toward one of the most picturesque views of in the Champlain Valley. Hurricane, Giant, Dix and the Jay Range were silhouetted against cloud specked blue skies to the east. An undulating patchwork quilt of hayfields and tree lines stretched to blue green foothills clumped against the Adirondack Mountains. Half an hour can vanish in a single breath while watching a sunny day expire here. Even at midday the view is an open-ended invitation to linger. But with minds and mouths racing, we did not even slow down on our way back to Rock Harbor. We were sorting engagements, worrying over deadlines and synchronizing schedules for the week ahead. After a quick lunch, we would drive back to Manhattan. Although the trip could be as quick as five hours, Sunday afternoons were typically slower with increased traffic around Albany and returning weekenders adding to the congestion.